You have seen Captain America: The Winter Soldier, right? I mean… you either have and you didn’t know what was going on, or you haven’t seen Cap 2 yet, and you just HAVE TO KNOW WHAT IS AT THE END. Either way, from now on there be spoilers here. No getting mad at me. The first end credits sequence mid-way shows Hydra Agent Baron Strucker talking about a new source of power or something or other. Sorry. I was still just so geeked out about the whole movie that I don’t remember details right now. I’ll see it again soon and update this post. But anyway, Strucker is talking about new experiments and reveals (and shows us) that they have at least the top part of Loki’s staff (from the Avengers) with the chunk of Tesseract or gem or whatever in it. He talks about the “Miracles” he has created and shows us the “twins”. No, that isn’t some juvenile term for breasts. We see two characters imprisoned, both displaying a very different set of superpowers. The male one seems to be speeding around his enclosure and the female other is levitating some objects in front of her before she crushes them mid-air. 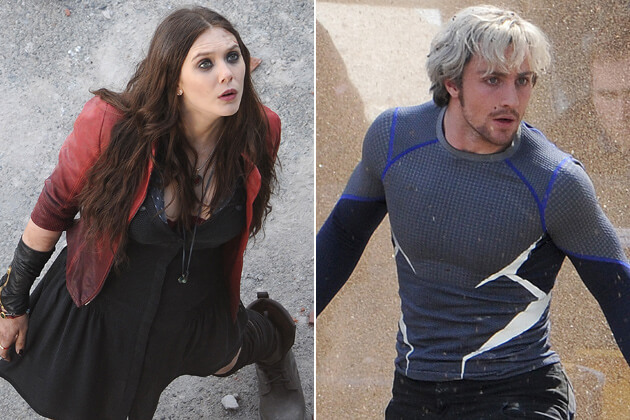 Comic fans of course recognize these two as Quicksilver and Scarlet Witch, respectively. Quicksilver and Scarlet Witch are on the right. This little scene is setting up the pair to make an appearance in the Avenger’s sequel “Age of Ultron” where it looks like they have a prominent role. 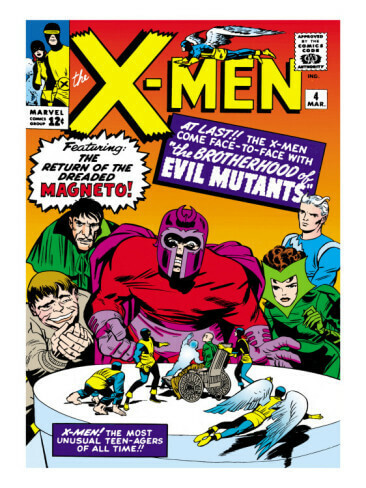 I want to know if they are going to allude to their past at all, as their father is a quite famous “miracle” that goes by the code name MAGNETO. I wonder if there will be a sly joke in the Avenger’s sequel talking about their father? It would be fun! 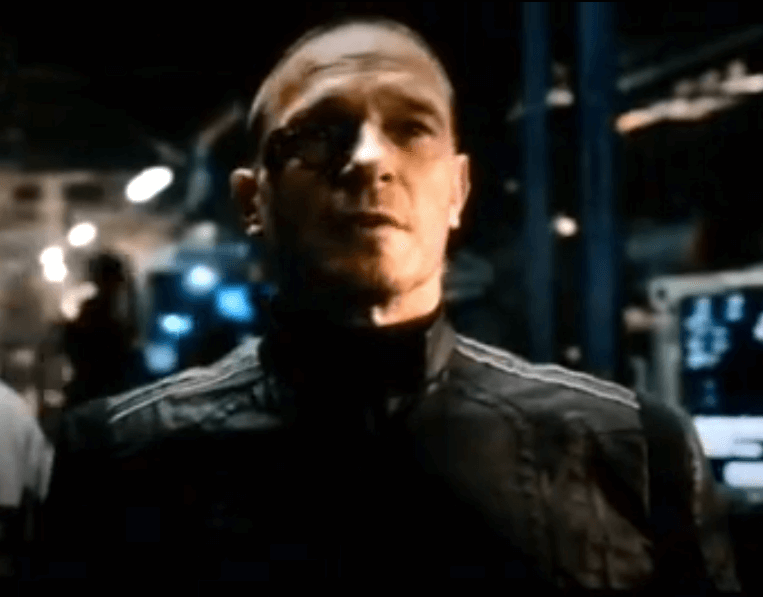 For the end credits, they are dressed more like prisoners/captives, but early set photos from Avengers 2 show that they will get some sort of normal clothes/uniforms along the line. You must be so fast in your Under Armor shirt. 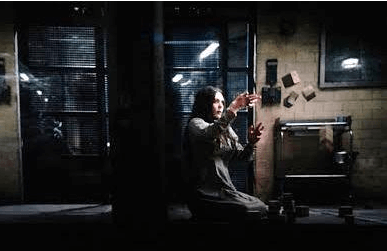 I have a feeling that they snuck these two in to Cap 2 just to jab a little at Fox who have also included Quicksilver (and I guess Scarlet Witch too, if the photo below is any indication) in this May’s X-Men: Days of Future Past. Just based purely on photos and nothing else, I have to give the edge to Marvel at this point. I’m not 100% thrilled with either of them, but Marvel looks like they are pushing them to be actual actiony type people. I just don’t know what to think of Fox’s versions. 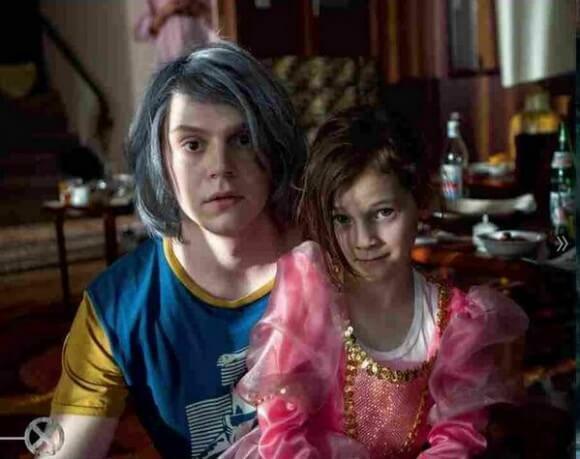 The poor Quicksilver kid gets the fakest, lamest dye job I have ever seen. And another little kid in a princess dress. The second end-credits sequence In Captain America: the Winter Soldier totally makes sense in the context of the movie, so if you didn’t “get it”… I’m not sure I can help you very much. 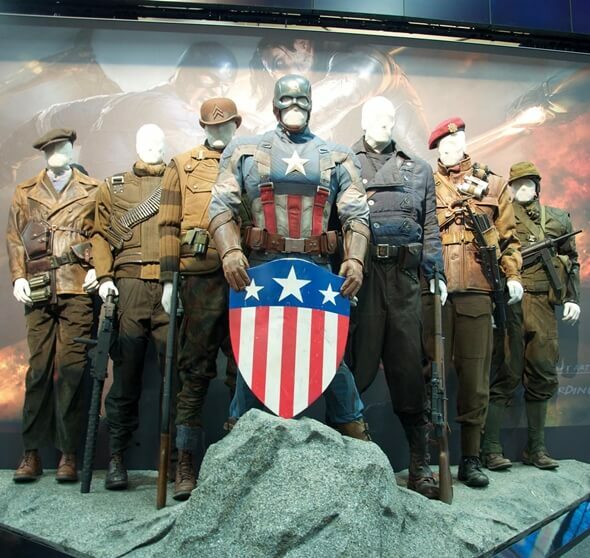 Bucky goes to the Smithsonian Museum exhibit shown earlier in the film and sees images of himself in the past. I hope that this sets up that he will have a larger role in Cap 3. I feel fox was way too off on their Quicksilver and scarlet witch. 1st, they are supposed to be twins and clearly in the above picture of Days of Futures Past, Quicksilver looks older. I feel in upcoming Avengers 2, Marvel Studio will do a better portrayal. I’m actually guessing this commercial gives him more screentime than the movie actually does.